Put the tones of the Celestion G12K-100 speaker to work at home or in the studio, with this speaker impulse response in a 2×12 open back arrangement. 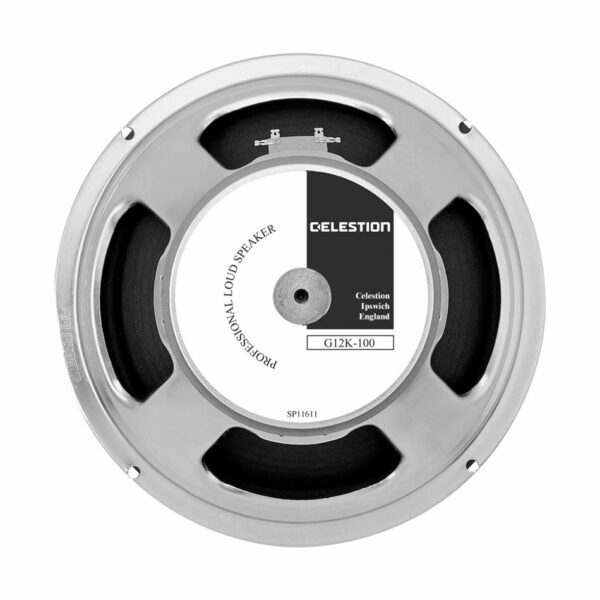 The Celestion G12K-100 offers a potent blend of saturated lows and full, even mids delivering clear clean tones even at high volume. In the 2×12 open back cabinet option, the G12K-100 has been sampled using 3 well known microphones (Royer R-121, Shure SM57, Sennheiser MD421) recorded in 6 different placements, to provide a range of different tonal qualities, labelled Balanced, Bright, Thin, Fat, Dark and Dark 2. The pack also contains a further rear positioned recording and three room mic recordings (Neumann TLM 107) with Left, Right and Stereo options, and 8 microphone mixes (SM57+R-121, R-121+MD421 etc). All our IR files are in .WAV format for compatibility with the majority of plugins and amp modelling gear.